Disease, a condition that often begins with a growing, target-shaped rash surrounding the site of a tick bite. What many people don’t realize is that this rash, called erythema migrans, is rarely due to Lyme disease in this area. 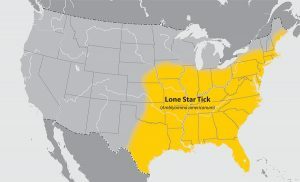 It typically represents a different condition, Southern Tick-Associated Rash Illness (STARI) which comes from the lone star tick and has not been linked to severe symptoms such as those of Lyme disease. Unfortunately, the cause of STARI is unknown and there is currently no test to identify it. The CDC has new molecular identification technology that helps differentiate Lyme from STARI and that they hope will help them identify the cause of the disease and create a test that can be used in medical practice. ….BUT, the CDC can’t use the technology unless they have samples to test! That’s where UNC Sheps Center investigators need help. · Get paid $200 PER VISIT. 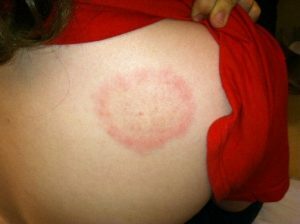 If you have a bite-related rash 2+ inches in diameter, contact us to help move science forward!